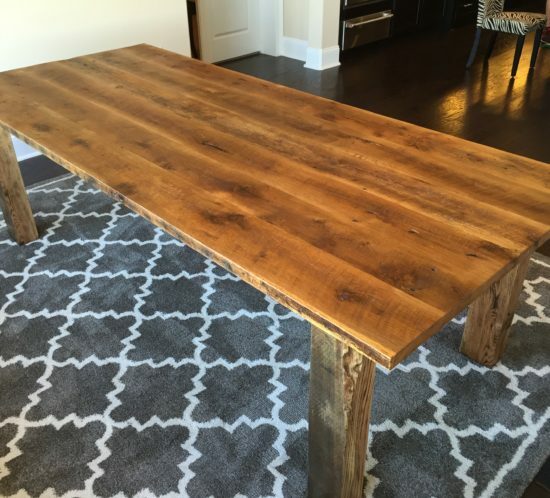 Have you always wanted to add that rustic touch to your living room? 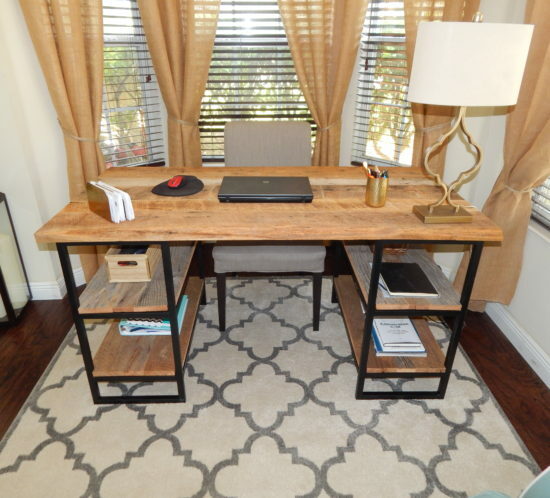 Let us help you create that one of kind piece that will bring your living space to life. 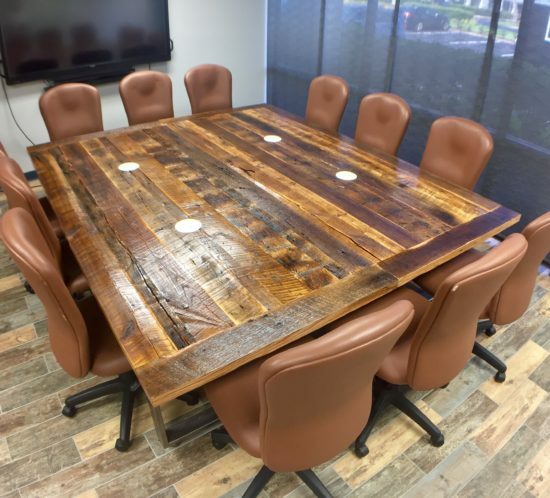 With many different kinds of styles and wood to choose from, we will be sure to help you create exactly what you are looking for. 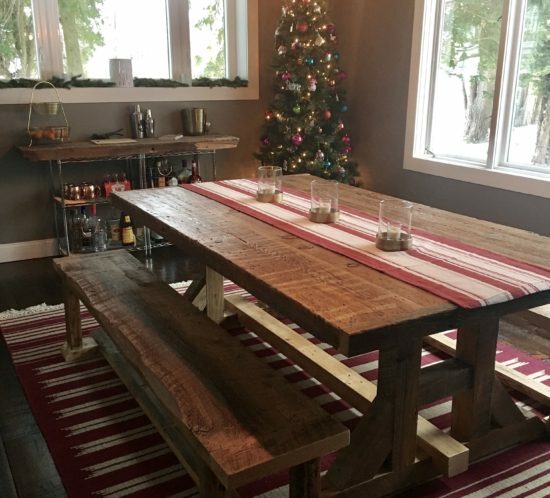 Whether you want something rustic or modern, we will work side my side with you to help your ideas come to life. 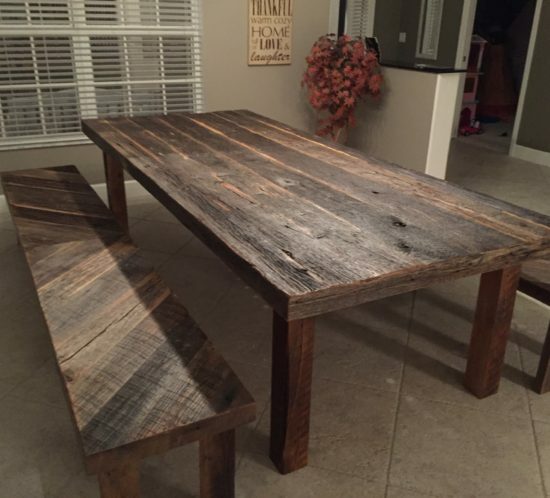 If you want a Reclaimed Rustic look or something smooth and modern, we can make it happen. 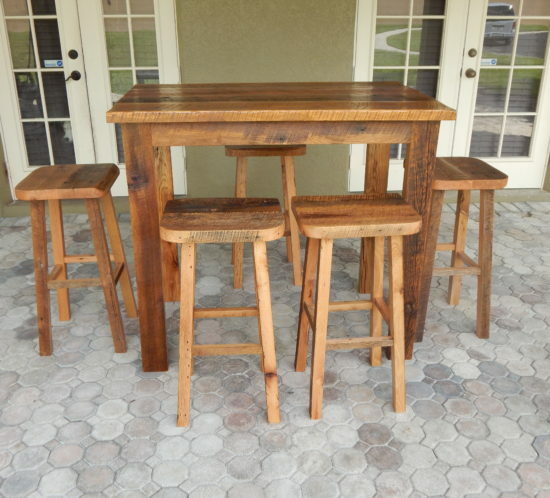 Choose from different woods like Oak, Pine and Walnut or tell us the kind of wood you want and we will find it. 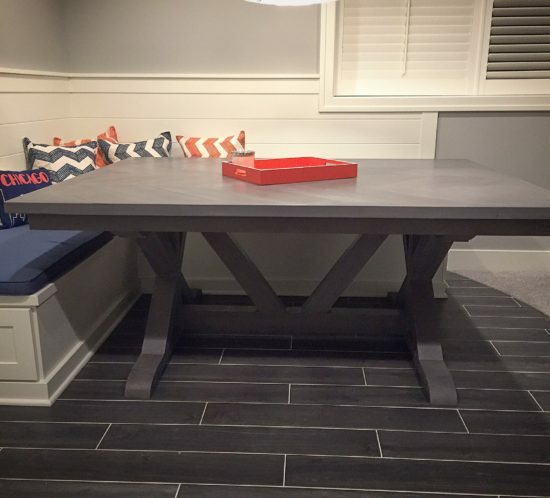 We love to build custom Wood Tables of all sizes and styles. 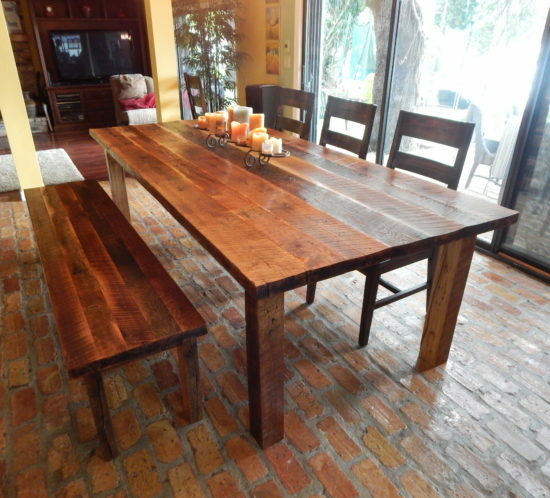 With many different types of wood to choose from, we will help your dream become a reality. Not sure exactly what you are looking for? No problem! We are here to help. 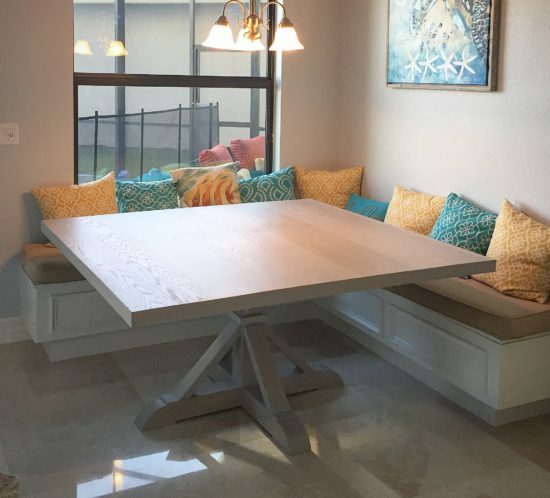 Just send us over your inspirational photos and we will get to work helping you design that special table that you have always wanted. Each piece is rich in style and historical value giving you a one-of-a kind story to tell time and time again. 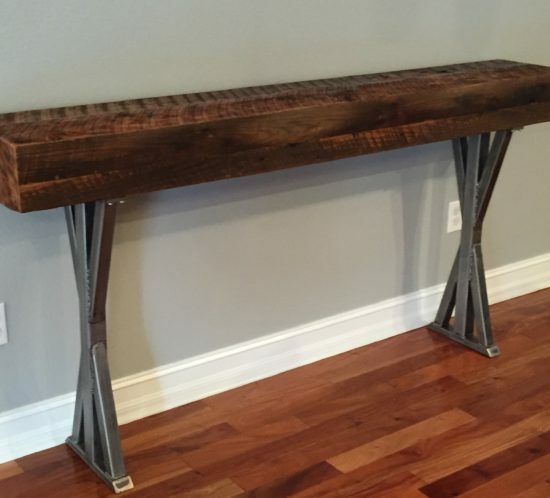 We work with you and your needs to create a piece that is custom for you and your home. 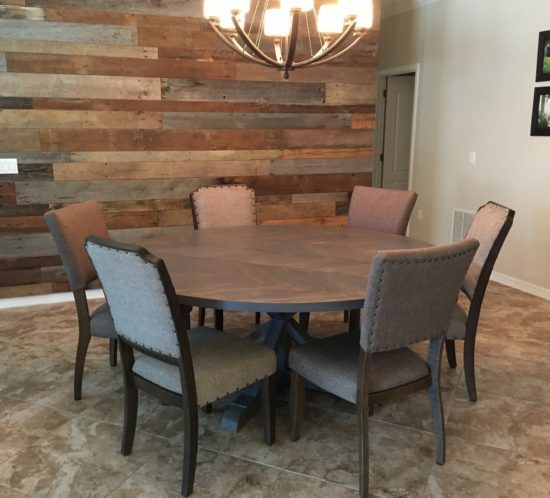 Whether you want a rustic looking reclaimed wood farmhouse dining table made out of Oak or a coffee table made out of antique walnut lumber we will be sure to work with you to create the unique piece that have always wanted. Please take a look at these projects we have done for inspiration. 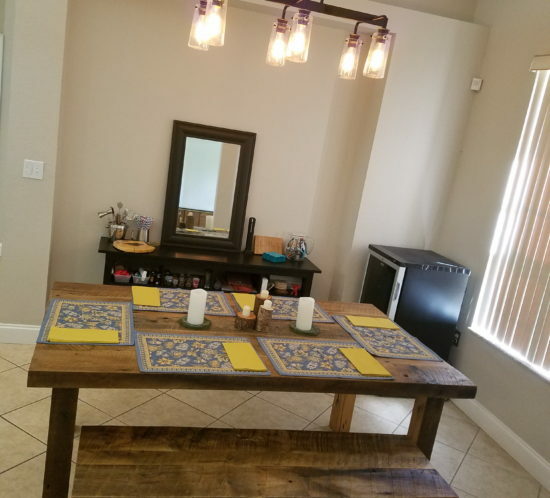 If you don’t see exactly what you are looking for but love our style, make sure to send us a custom request and include photos of things you love. 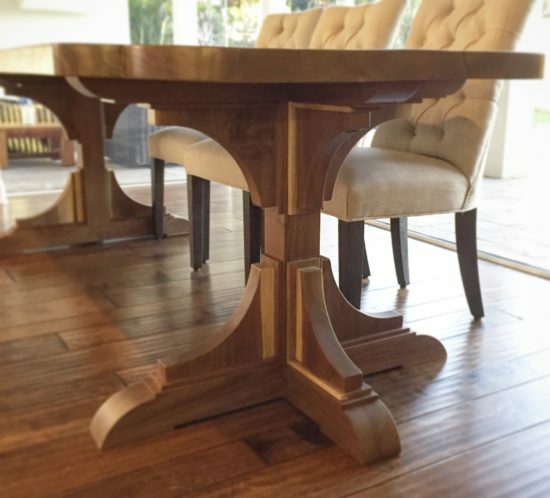 We will work with you and your budget to create your custom piece that will last a lifetime.